3.7. 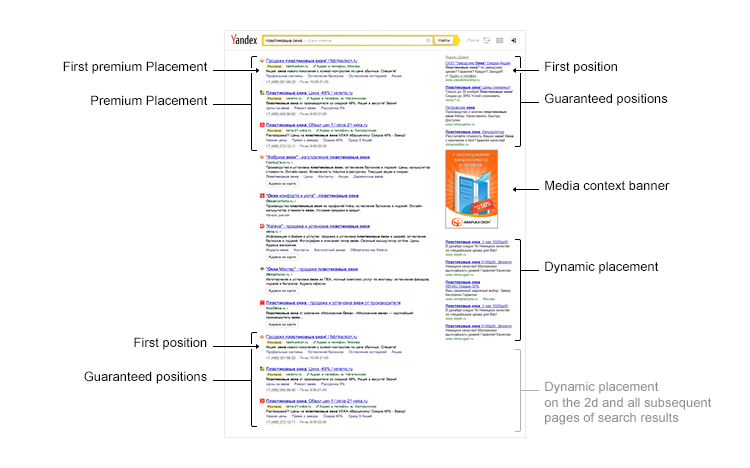 Selection of Ads for impression on the Advertising spaces specified in 2.5 of these Rules and their distribution among pages shall be made in a descending order of the value calculated basing on CTR, Cost per Click and Quality factor. In this case, the position of an ad on a page shall be determined by the fixed Cost per Click with consideration of the rate set by the Advertiser according to cl. 3.19 of the Rules, that is, selected ads displayed on each page shall be arranged in a descending order of the value calculated basing on CTR, Cost per Click and Quality factor. 3.17.4. While Ad creating Advertiser is given the opportunity to apply additional functionality «Dynamic text ads» that is used for creating Ads to be displayed on the Advertising spaces listed in 2.1.‒2.3., 2.6. of the Rules. Additional functionality «Dynamic text ads» let the Advertiser to generate automatically the Ad’s headlines and the Links and to specify key words for an Ad display on the basis of the automatic analysis of content of the site specified by the Advertiser for the relevant Group of Ads. 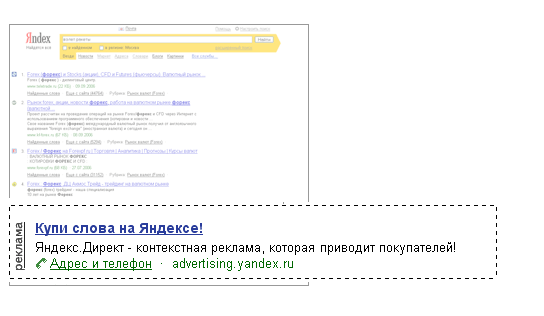 3.18.2. only one Ad from the Group of Ads with the best Click-Through Rate as compared to other Ads included in that Group of Ads is mostly displayed. If there are no sufficient statistical data to apply this provision, the Ads to be displayed are selected from the Group of Ads according to the principles of automatic rotation applicable to such Ads. 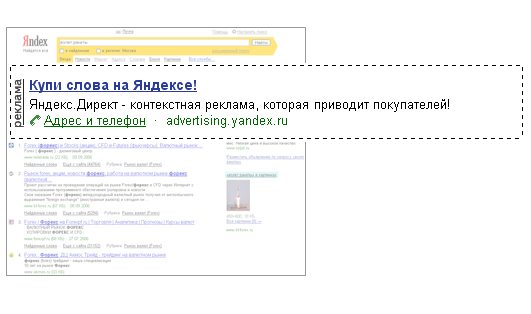 The above warnings shall be added to Ads automatically by determining themes of Ads and/or via the customer support service using the feedback form at http://feedback2.yandex.ru/direct/. In this respect, if Image Ads are placed, the Advertiser shall provide the said Ads with warnings already included pursuant to this cl. 5.1 of the Ad Serving Rules. The Advertiser shall ensure that themes of Ads are determined properly and the required warnings are unfailingly added to Ads with themes in question. The category of the content shall be determined by the Advertiser independently during the ad production by selecting the appropriate category through a Client web-interface or, if it is an Image Ad, by indicating the category in such an advertisement. If the Advertiser fails to select a category for ads with relevant content, the ad shall be automatically assigned to the 18 + category, except for Image Ads. As for Image Ads, the Advertiser shall independently add the content category. The assignment to the relevant category shall be performed on the basis of automatic identification of theme.